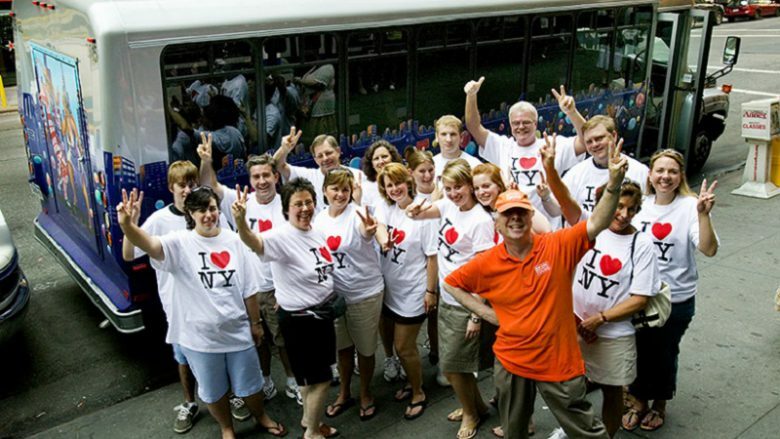 Highest Rated Bus Tour in New York City! Imagine seeing all the greatest icons of New York City in just under 6 hours. Think it can’t be done? Think again. Year after year we win awards for the best bus tour in New York City! Here’s why:The NY SEE IT ALL is NYC’s Most Popular Comprehensive Guided Tour. It combines a bus tour with short walks and a ride on the world famous Staten Island Ferry. The #3 most popular attraction in New York City. You will experience breathtaking views of the Statue, Lower Manhattan, the Brooklyn Bridge, the Verrazano Narrows Bridge, and the boat traffic in one of the busiest harbors in the world. This tour will show you everything Manhattan has to offer without leaving you on your own to get lost or miss attractions. Wait! There’s more! Free bottled water is OnBoard during the tour. Our shuttle buses are climate controlled, so they’re cool in summer and warm in winter. The shuttle waits for you at each attraction so you don’t have to stand around waiting for the next empty bus. These are just a few of the reasons to take an OnBoard Tour Today! Ready to book? We guarantee you’ll be glad you chose OnBoard Tours for your NYC visit. You can conveniently book now online (by hitting the big red button) or call us at: 1-212-852-4821. BEST VALUE: See the Statue of Liberty up close from the Staten Island Ferry and avoid the long lines. We guarantee you’ll not only save time, but get better pictures of Lady Liberty!